Aurora News: Major tradehubs under attack! Operation 'Burn Jita!' is in effect! Major tradehubs under attack! 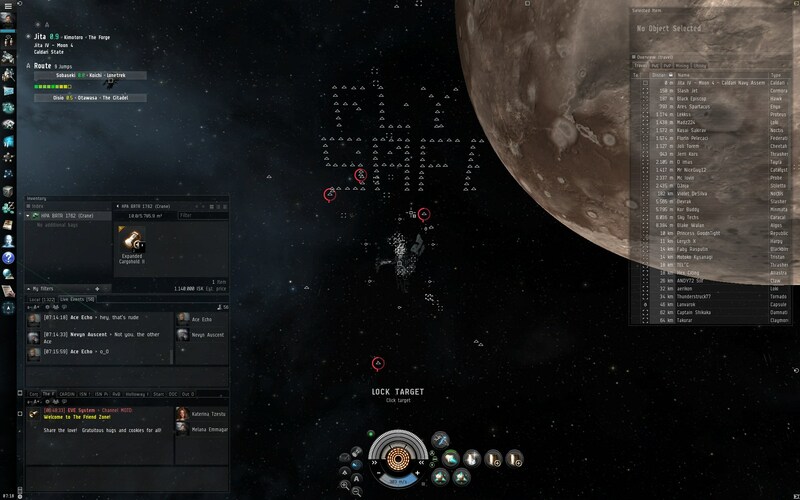 Operation 'Burn Jita!' is in effect! 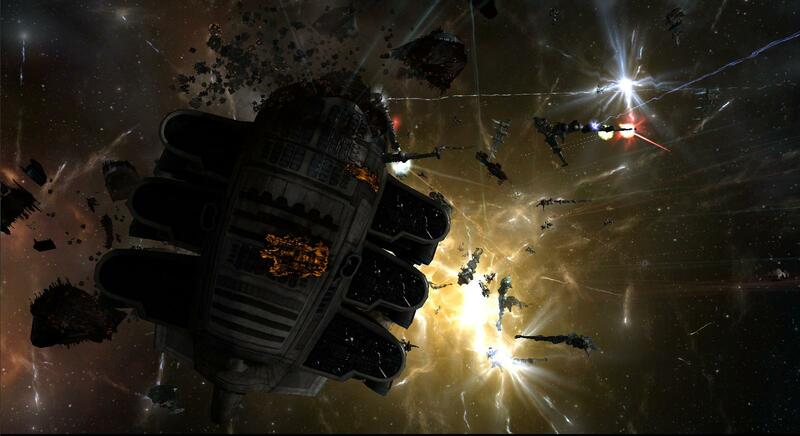 This weekend, Goonswarm & their allies have announced a third attack on Jita and related tradehubs, under the operation name: "Burn Jita!" . -That they are able to disrupt or even shut down trade at any moment at their leisure. -To display their might against the Empires, forcing their hand to react. -To fuel their desire for wanton destruction. This statements occur through the large scale destruction of transports and other high value ships in the various tradehubs, mainly Jita & Amarr as they are the largest. The disrupt trade part however is only partially true. In the past, the 'Burn Jita!' operation proved the flexibility of tradehubs. In mere days, and in Jita's case, just hours, trade normalizes after the operation ends. Also, as the attack on the tradehubs is announced in advance, skilled traders prepare in advance, altering their offerings to suit the needs of attacker & victim alike during the operation, selling higher numbers of Catalysts, Tornado's, freighters & other transports. As noted by a famous trader: ' War is good for business' as it guarantees the selling of ships, ammo & equipment that needs to be replaced. This report shows what kind of weapons & ammo was used last year: Announcement: Burn Jita 3. Despite it reporting about this year's attack, it contains a schedule of what was used last year, to have an idea of the armaments involved. Smart traders can use this list to stockpile on the needed ammo & weapons to sell during this attack. Addendum: the list of freighters destroyed in Jita can be found here, giving an idea of the scale & losses: Burn Jita in effect: Freighters destroyed! Their ability to amass such fleets and the wealth to throw them against Concord's retaliation police force is certainly impressive. 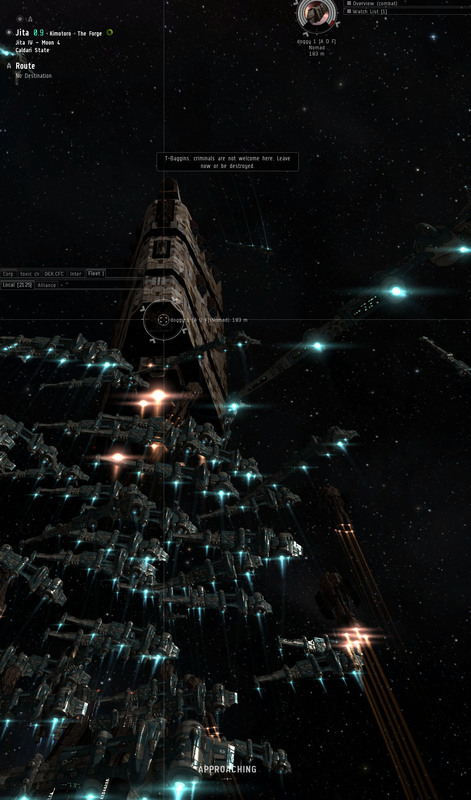 It does highlight the need of Concord's presence to ward off aggressive nullsec capsuleer organisations. Without them, attacks on highsec like this would be far more destructive to the people. To be able to to direct and supply such force into an attack that lasts for multiple days also displays a large amount of organisation, showing the Empires they are not to be trifled with, and should be taken more seriously as independent foreign states. Blow it up, blow it all up! And the final statement is the bleakest of all. Goonswarm & their allies just want to see it all burn to crisp. They embody the worst capsuleers have to offer, blowing up ships just because they can. They revel in seeing what they can take out, holding contests on who can score the highest value ship destruction. The speed at which such ganks happen don't give the crew of those ships much time to escape their doomed fate, condemning them to an icy grave in space. However, there's organisations fighting this attack! Among them is Scopewerks & Spectre-Fleet. Scopewerks runs an active *disrupt the ganker*-policy, awarding members for successfully disrupting or even thwarting ganks. So far they booked many a success with their tactics, especially with ECM-focused ships. Spectre Fleet runs a more passive policy, shooting anyone that gets suspect, usually gankers, but sometimes others that end up going suspect by Concord law. There are also plenty of individuals or even small groups doing their best to disrupt these ganks, giving people hope that not all capsuleers are interested in senseless destruction. During the ongoing attack on the tradehubs, Traffic Control advises everyone to fly safe! If possible avoid the tradehubs directly, but trade at the adjacent systems to minimize your risk & keep the trade going. Should you at any point need something at Jita or any other tradehub, it is advised to transport the bought item after the weekend's over. In case waiting is not an option, Traffic control advises you to fly a ship that can field an adequate tank, without it holding back the warpspeed. A tech I or II Damage Control unit helps alot in thwarting ganks on your ships as well. Also helpful are instant warp undock markings. These marks are placed in a direct line from undock at a warp-able distance, reducing your risk to be attacked by Goonswarm & their allies.